There is a whole world of designs for a diamond solitaire pendant. 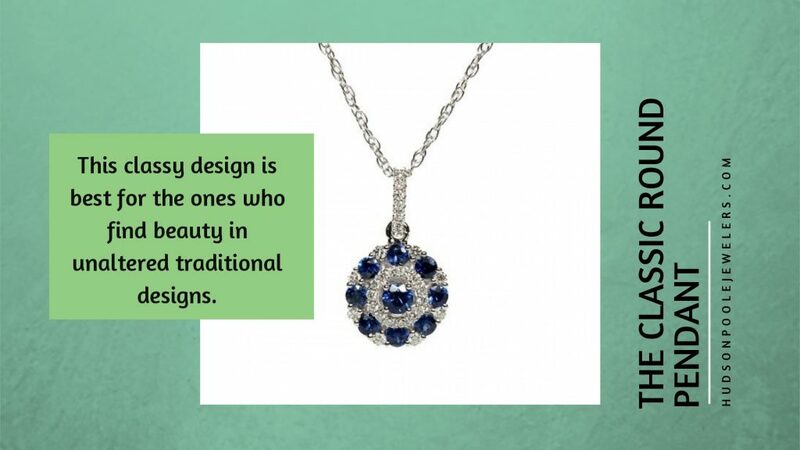 If you are looking at some solitaire pendants for a loved one, or for yourself, here are a few designs that are trendy, classy, and beautiful. This is the best Diamond Solitaire Pendant design for a woman who is a free spirit. A solitaire gently held in a heart that does not close at its ends. The open heart shape makes the pendant more aesthetically pleasing. It also symbolizes the freedom of the heart from its own burdens. The round solitaire in its rawest essence, no modifications made to make it trendier, or anything different from what it is. This classy design is the best of all Diamond Solitaire Pendants for the ones who find beauty in unaltered traditional designs. If it is too soon for an engagement ring, but you want to get there, a heart-shaped solitaire pendant might be the thing through which you can convey your message best. 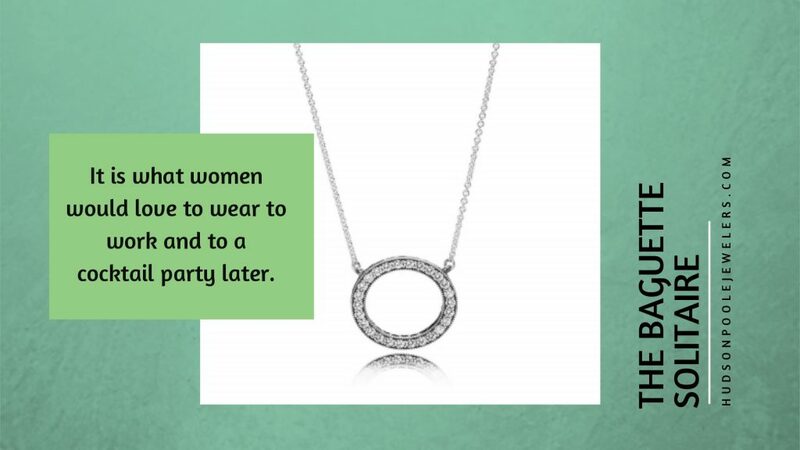 It is a pendant, a gift, not a formal declaration. At the same time, it is your solitary heart for her to wear next to hers. Sounds like the perfect Valentine’s Day present, doesn’t it? The pear-shaped Diamond Solitaire Pendants can be chunky or unassuming, whatever you want it to be. 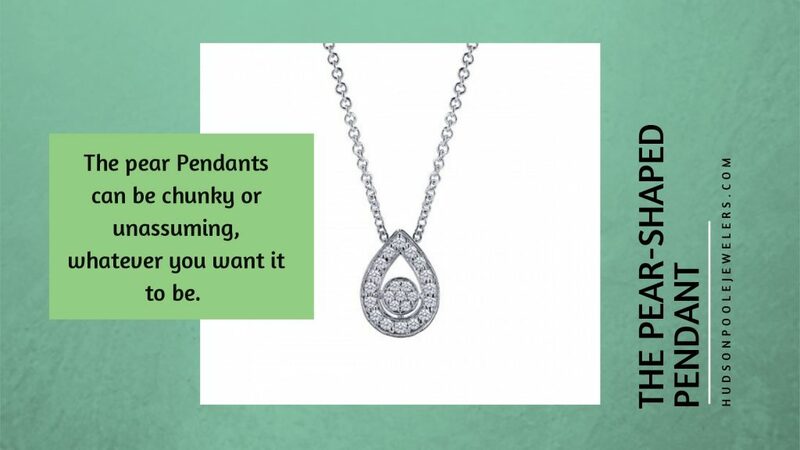 These pear shaped pendants come in a wide range of sizes. They are perfect to wear with teardrop earrings. Pear shaped pendants look wonderful lying right above the neckline of a classy cocktail dress. A pear-shaped solitaire goes with every personality. If you are looking for the trendiest shape in Diamond Solitaire Pendants, it has to be the Baguette. It is sleek, yet not too small. It is stylish and classy. It is what women would love to wear to work and to a cocktail party later. 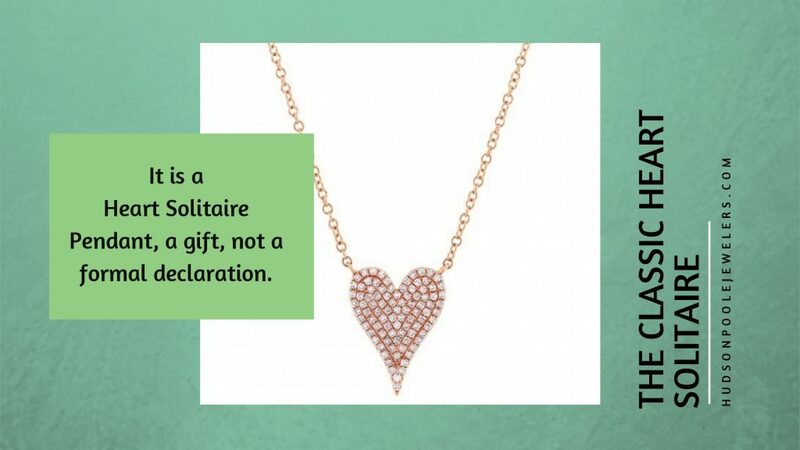 There are innumerable designs for solitaire pendants out there. You can match them with your earrings, or your finger rings if you want. Designs from Hudson-Poole Jewelers always stand out among others. 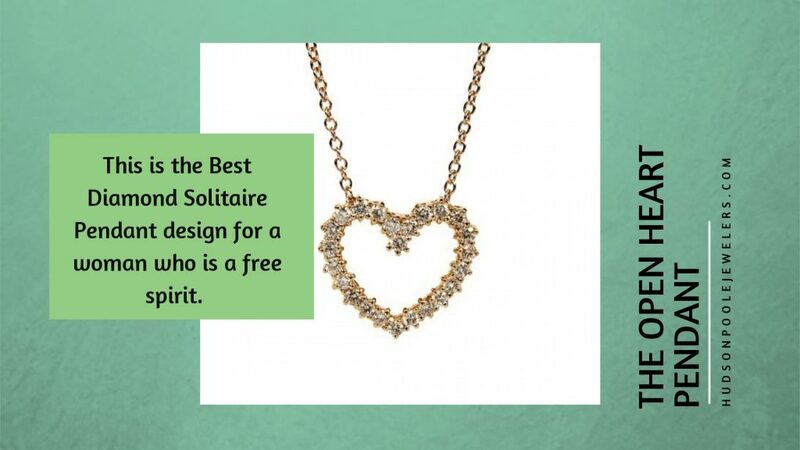 These were our top five picks in Solitaire Pendant Designs. Which one is your favorite?